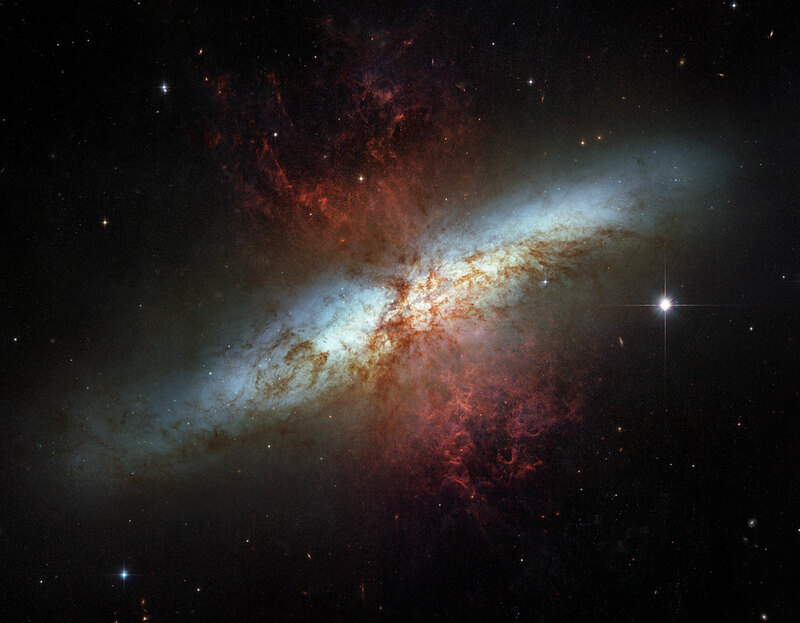 Hubble view of M82 in 2006. Image Source: NASA. 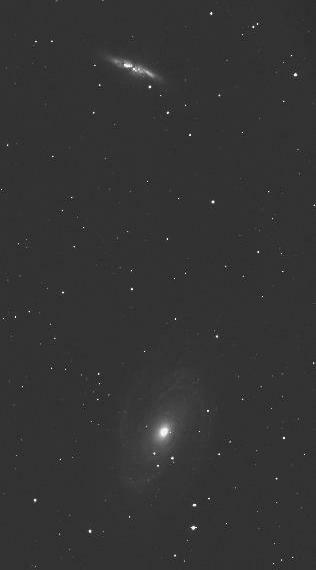 In April 2010, radio astronomers working at the Jodrell Bank Observatory of the University of Manchester reported an unknown object in M82. [Since May 2009, the] object has started sending out radio waves, and the emission does not look like anything seen anywhere in the universe before. There have been several theories about the nature of this unknown object, but currently no theory entirely fits the observed data. It has been suggested that the object could be a "micro quasar", having very high radio luminosity yet low X-ray luminosity, and being fairly stable. However, all known microquasars produce large quantities of X-rays, whereas the object's X-ray flux is below the measurement threshold. The object is located at several arcseconds from the center of M82. It has an apparent superluminal motion of 4 times the speed of light relative to the galaxy center. Co-discoverer Tom Muxlow of the Jodrell Bank Centre for Astrophysics near Macclesfield, UK explained that the object might be a black hole, but he was not sure. He told the press, "Watch this space!" The original 2010 paper is here: http://arxiv.org/pdf/1003.0994v1.pdf (Hat tip: The World I Know). The Royal Astronomical Society's press release is here. You can see other reports here, here, here and here. 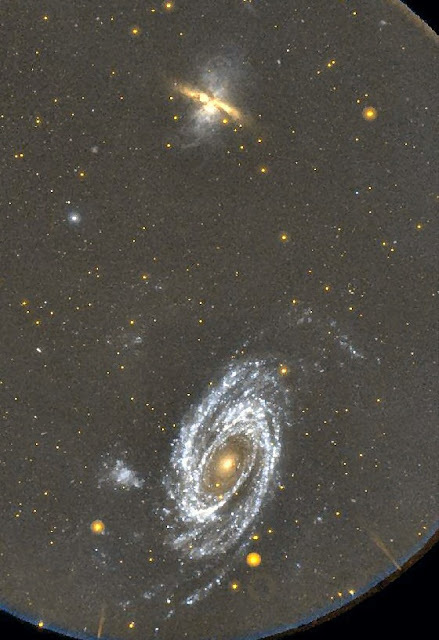 Web sources on the Messier 82 galaxy are here. It's important to keep in mind that any signal coming toward us from that direction would have been generated millions of years ago. Thanks Anon, yes, this was pointed out to the 2012 doomsdayers who were afraid the aliens were coming any minute.